Resistant to stains and abrasions as well as oil, grease, water, and mildew. Combines beauty and strength with incredible versatility. 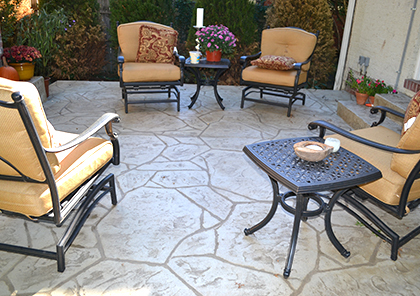 Ideal for entryways, pool decks and spa areas. Extreme durability for high traffic areas. Get the most out of your investment. 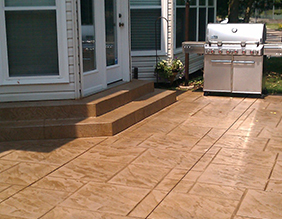 Combines the look of natural materials with the durability and affordability of concrete. 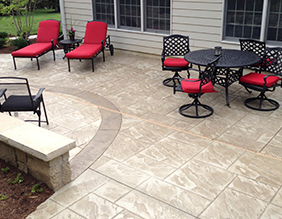 Insensitive to temperature extremes - stamped concrete may be successfully applied indoors and out. Secondary antiquing color is added, and then imprinted with a textured pattern. 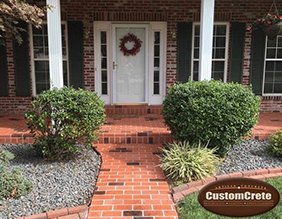 After the concrete has cured for a few days, additional highlight colors can be added to produce an uncommonly realistic and natural looking stone, slate, or brick appearance.